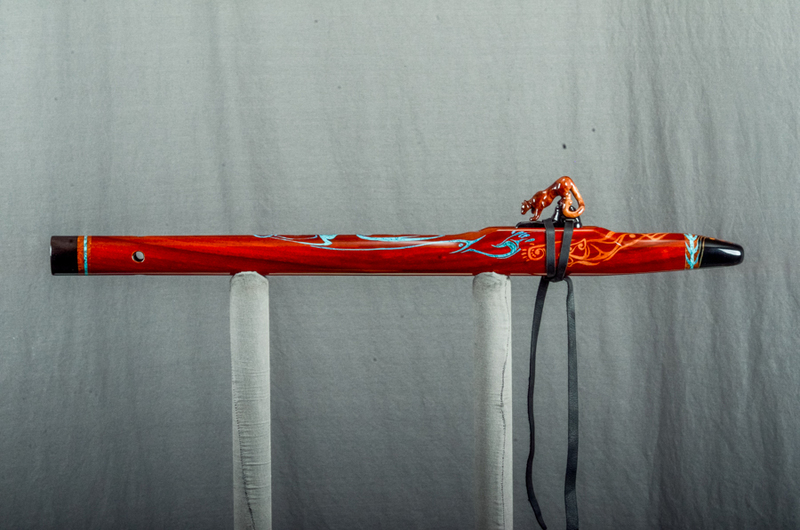 (K11K) Pitch: Mid G - 4 Scale: Minor - SOLD! 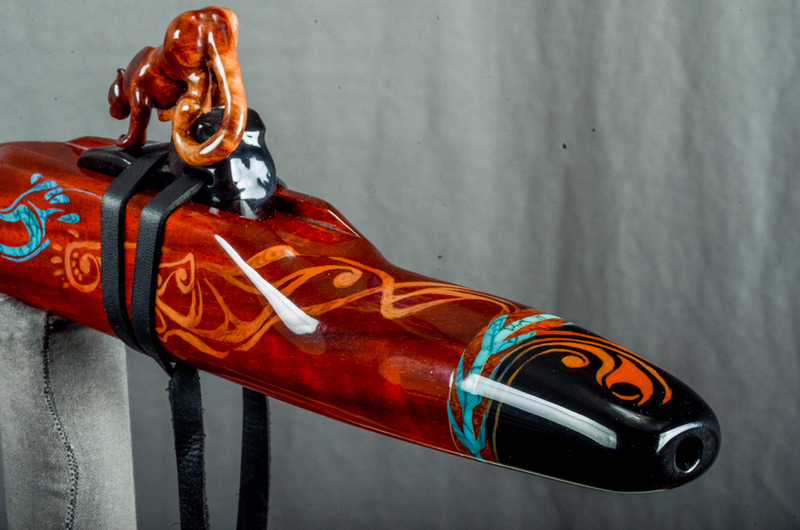 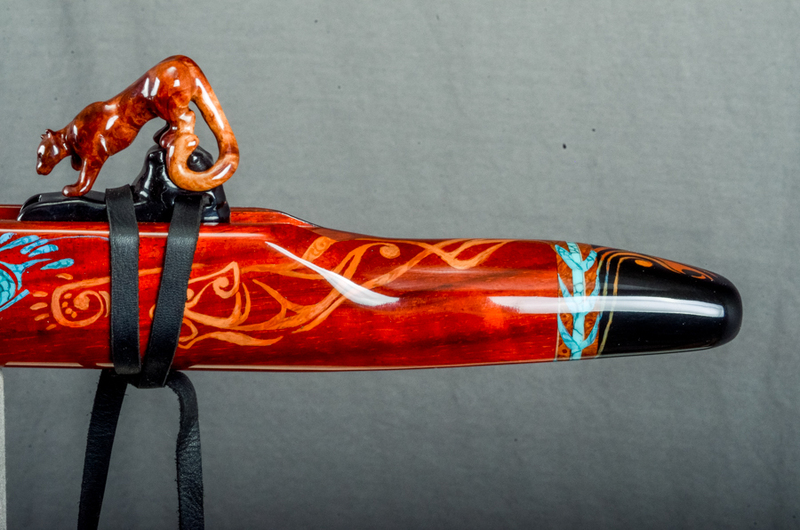 Hand painted by the acclaimed artist Boston Madsen. 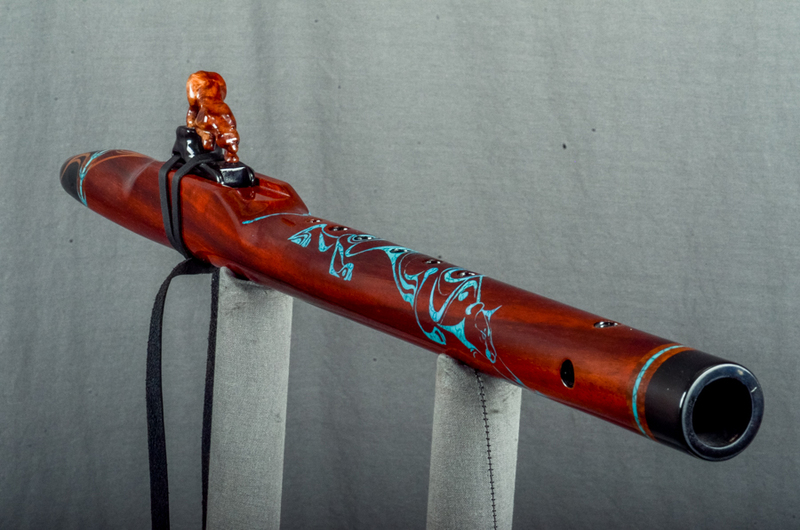 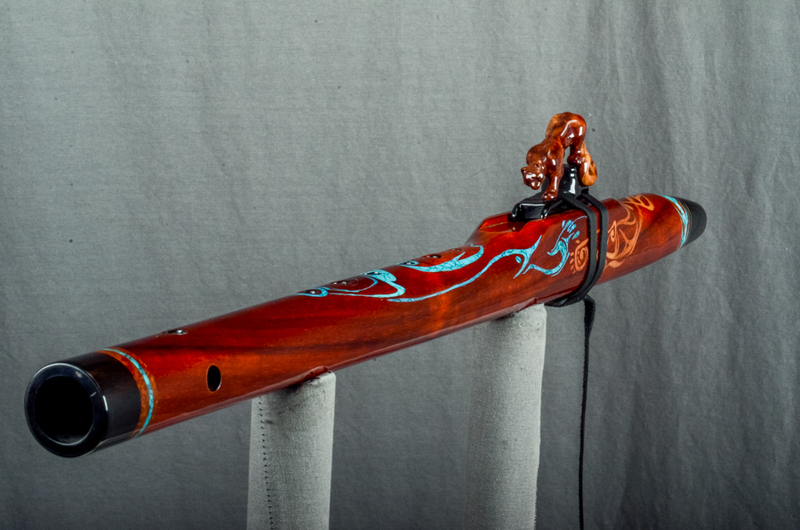 Two prowling spirit panthers glide down and around the flute. 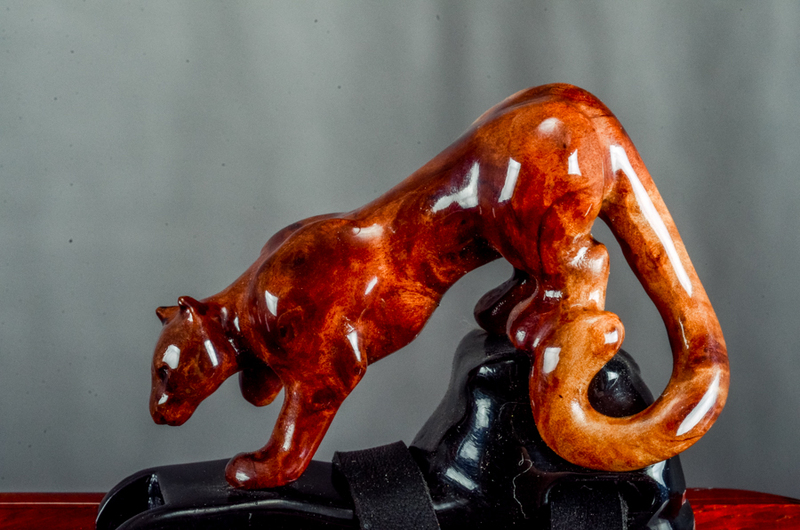 The physical panther totem sit in readiness to spring when the time is just right. 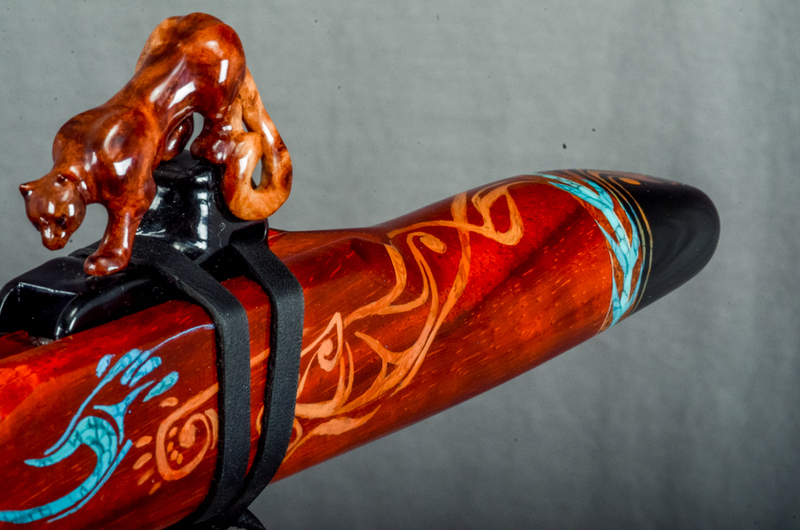 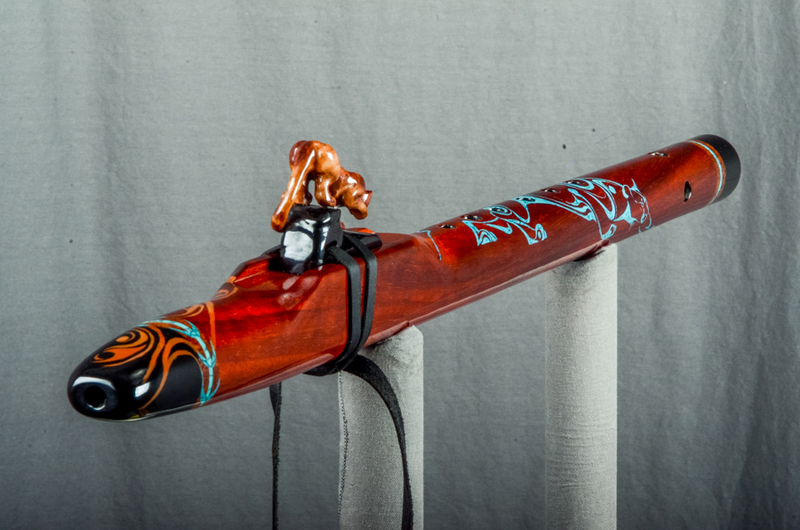 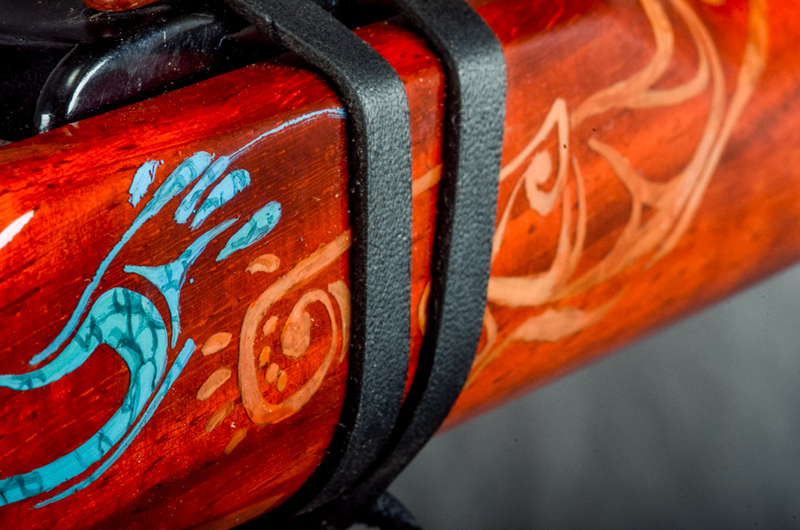 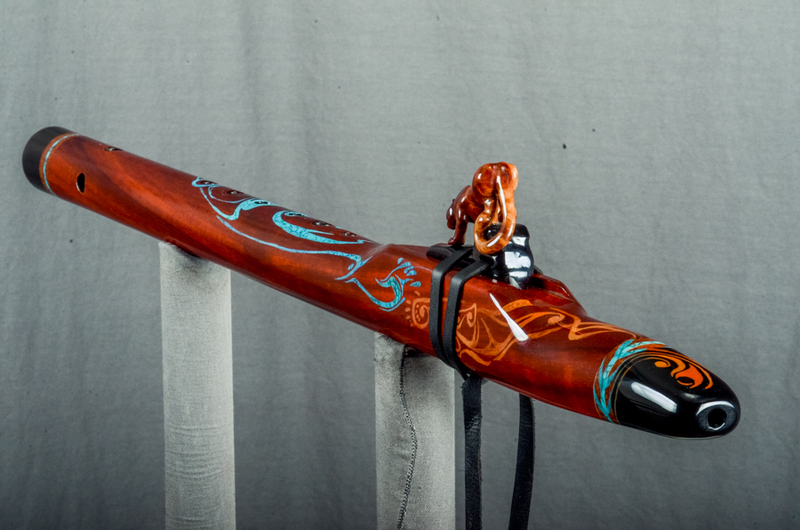 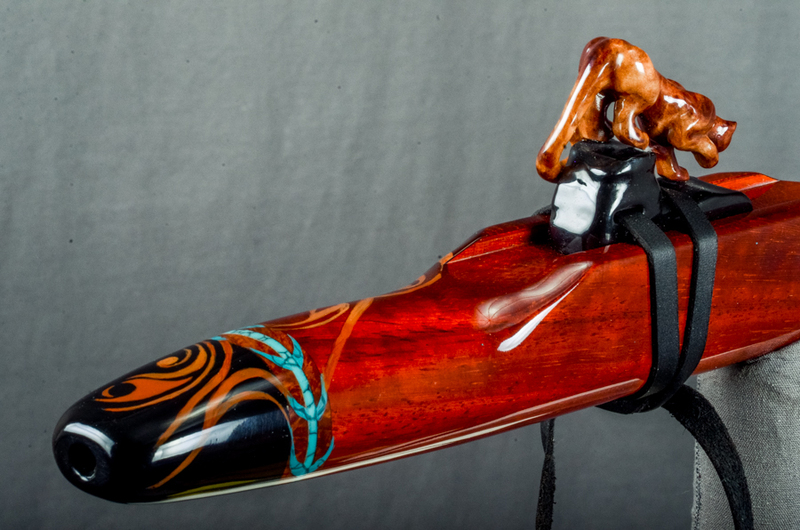 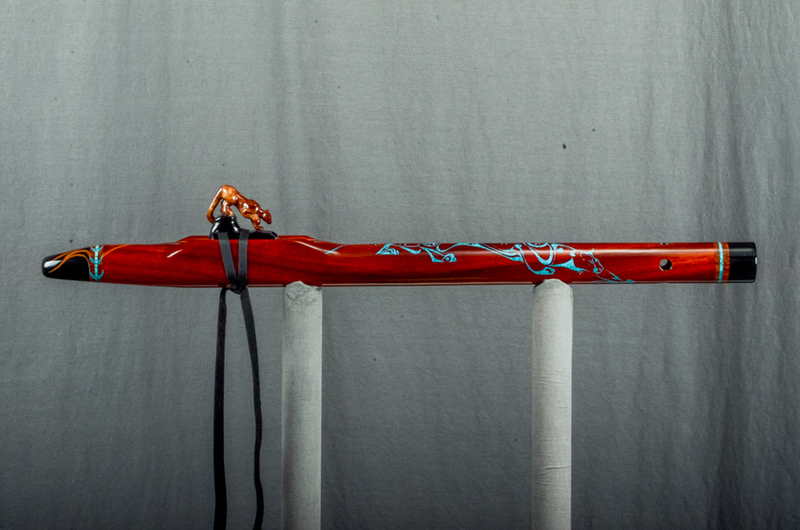 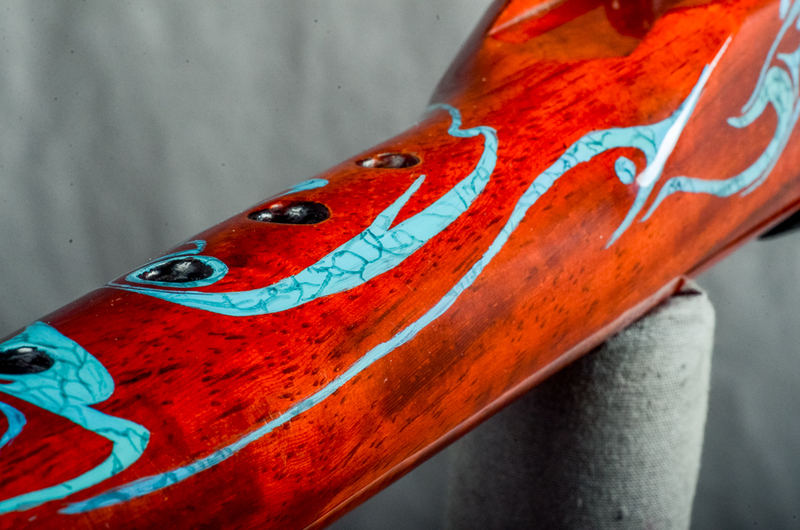 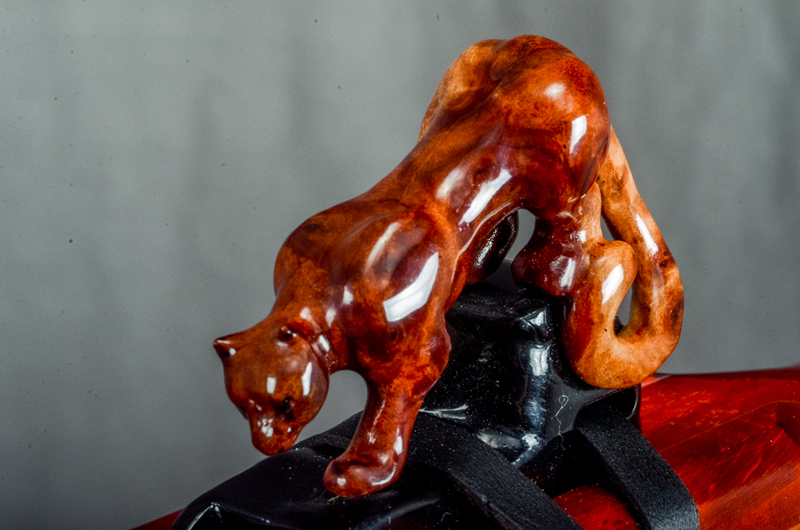 Prowler is made from a naturally rich red/orange wood called Padauk. 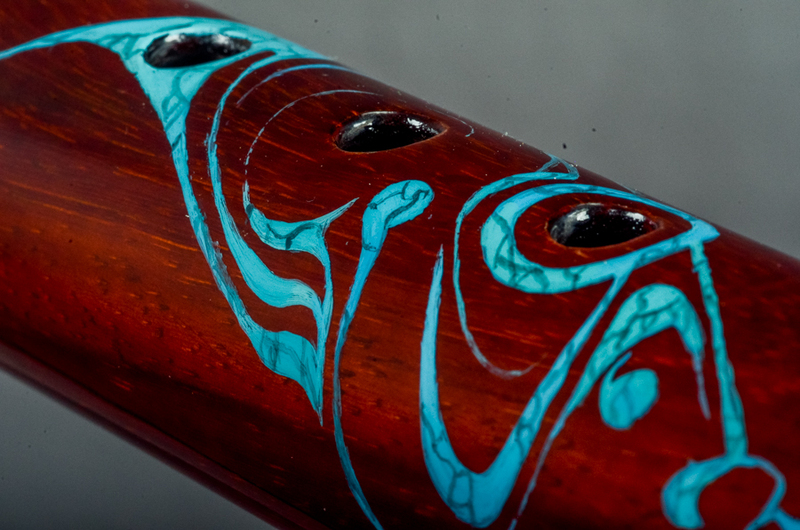 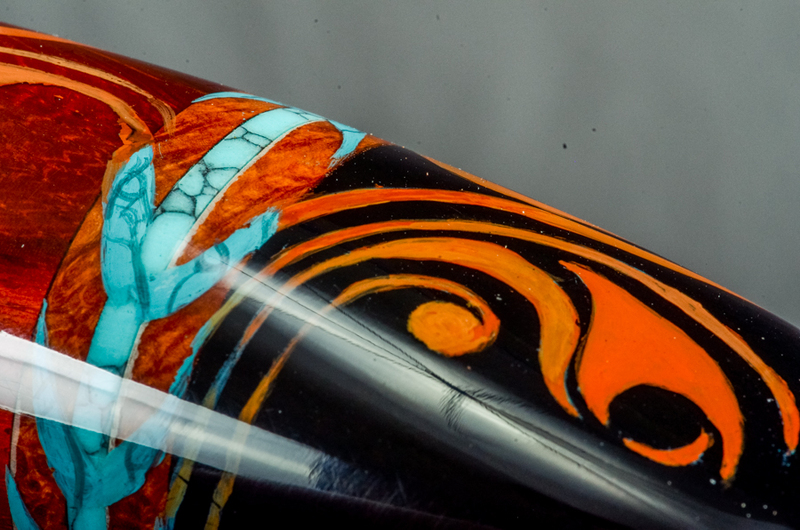 The elegance of the instrument is balanced by the Ebony mouth piece and end cap along with the beautiful solid turquoise ring inlays. 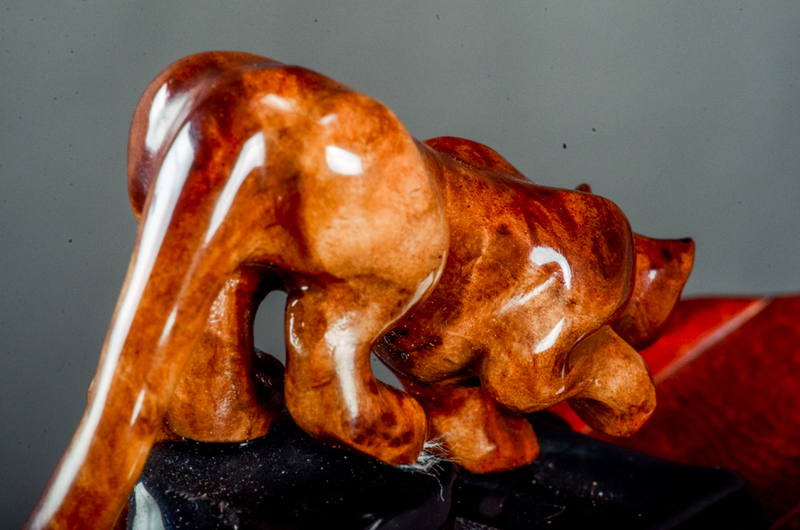 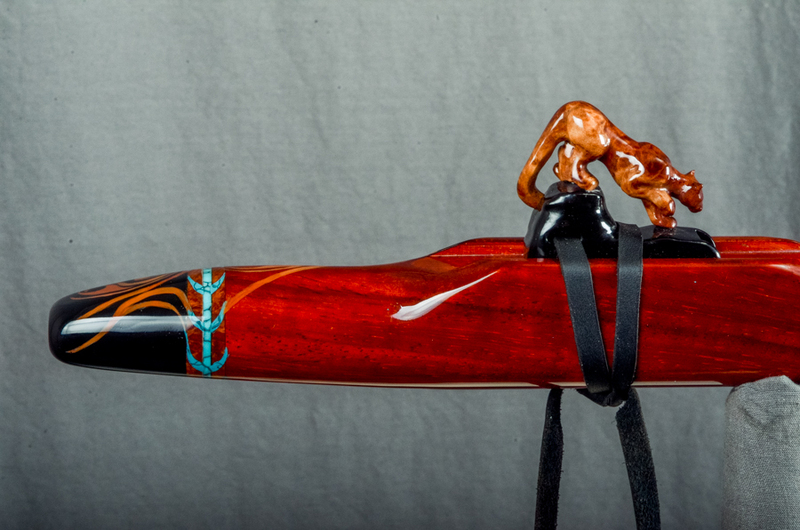 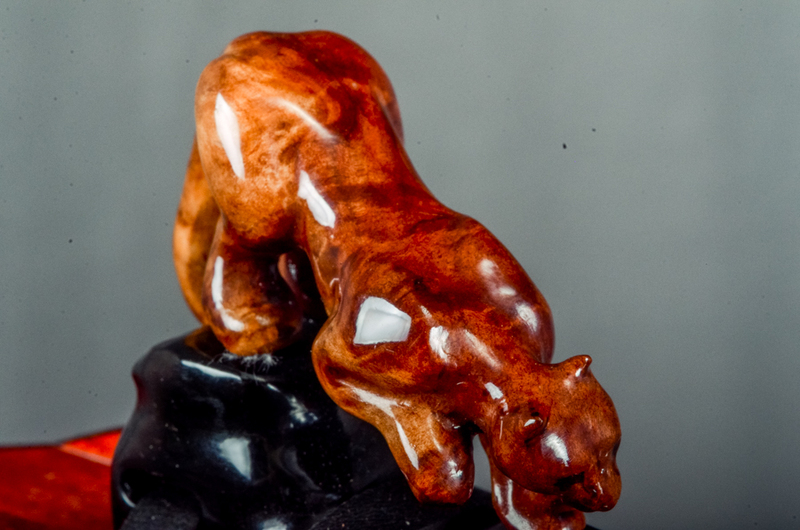 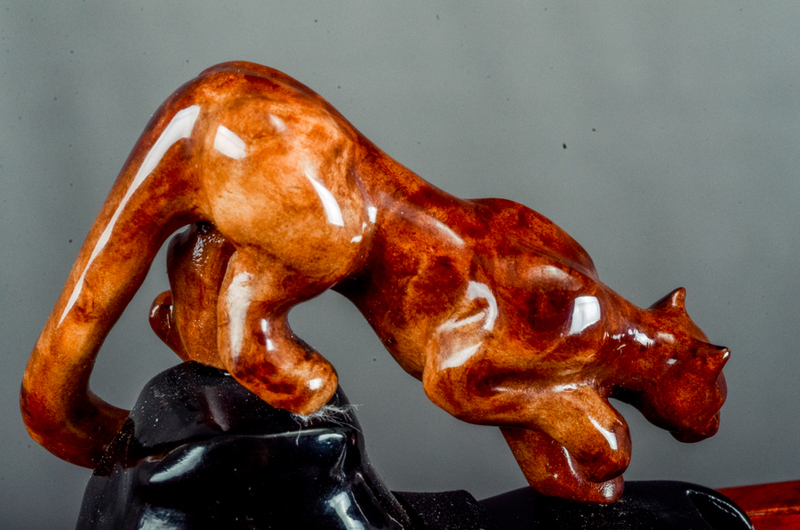 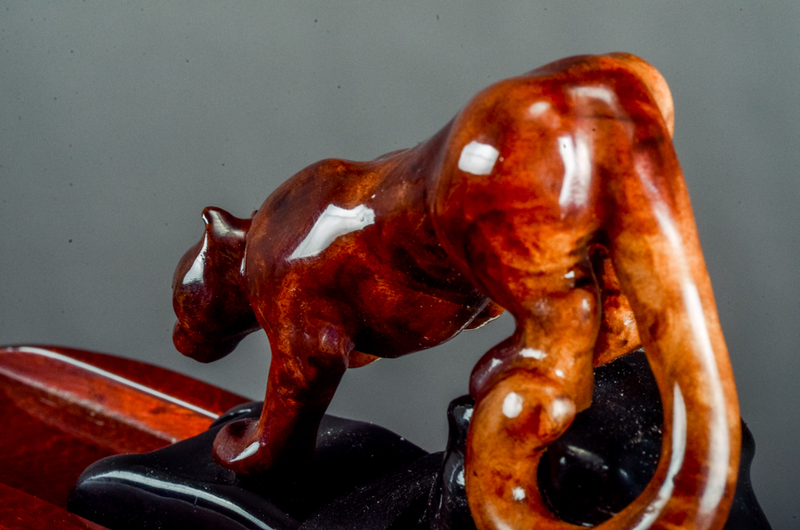 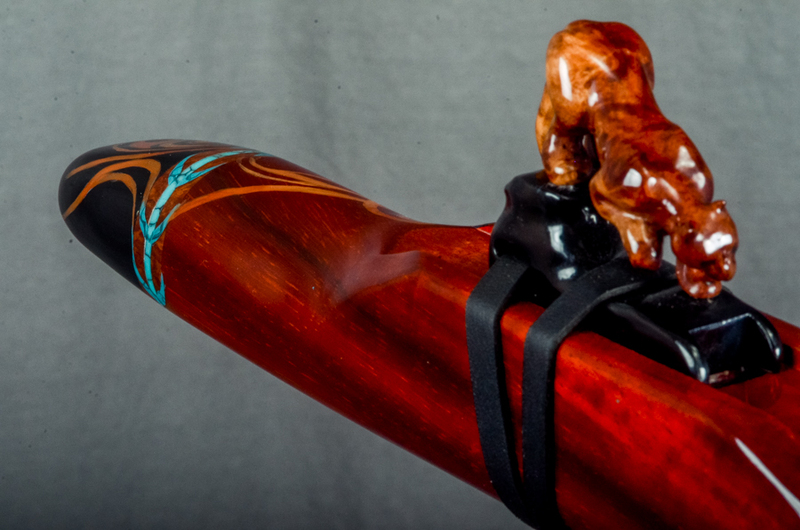 The hand carved Panther totem is Red Mallee Burl mounted to Ebony.